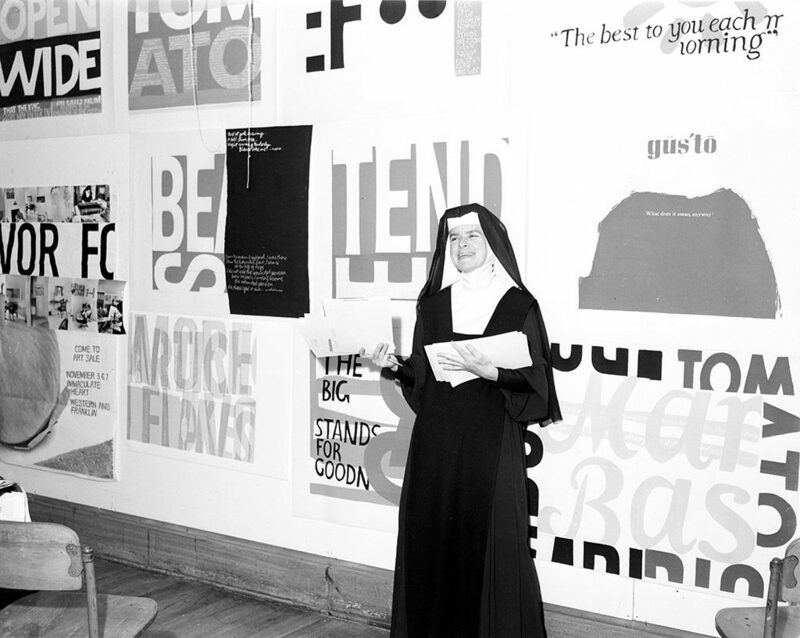 Corita Kent was an artist, an educator, and a Roman Catholic nun. 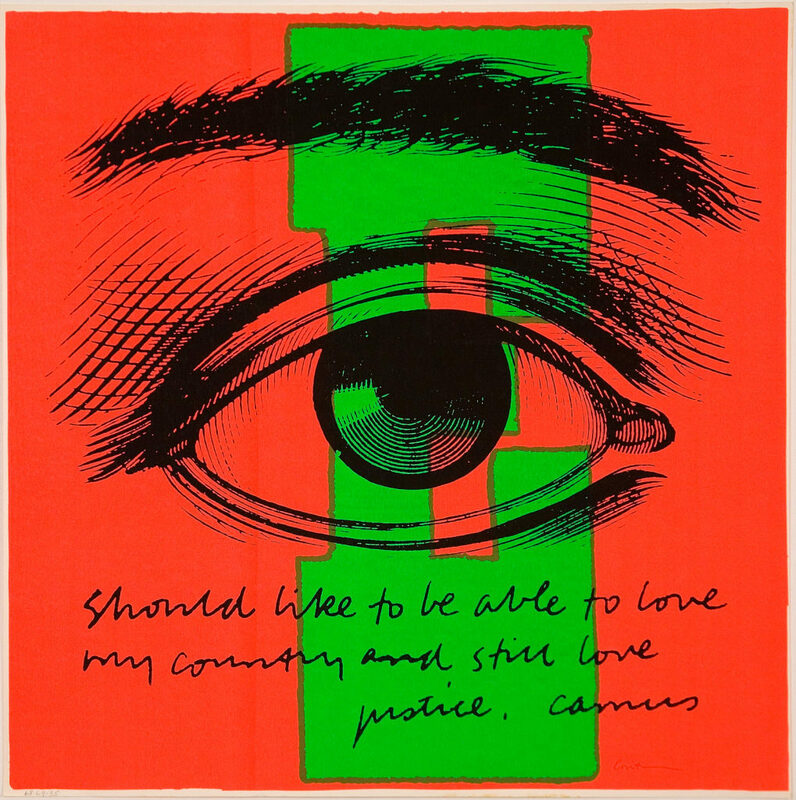 She created bold, colourful pop art posters to confront social injustice. 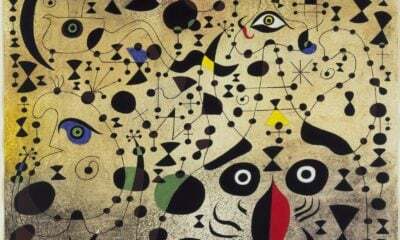 Poverty, racism and war were all the target of Kent’s exuberant artwork. She felt her liberal ideas were fundamentally part of the Christian message. However her religion demanded a vow of obedience and her church superiors denounced her work. They took particular exception to a Christmas card called the juiciest tomato of all (1964) in which Kent likens the Virgin Mary to a luscious tomato. They called it ‘scandalous’ and this on-going rift eventually forced her to leave her religious order. 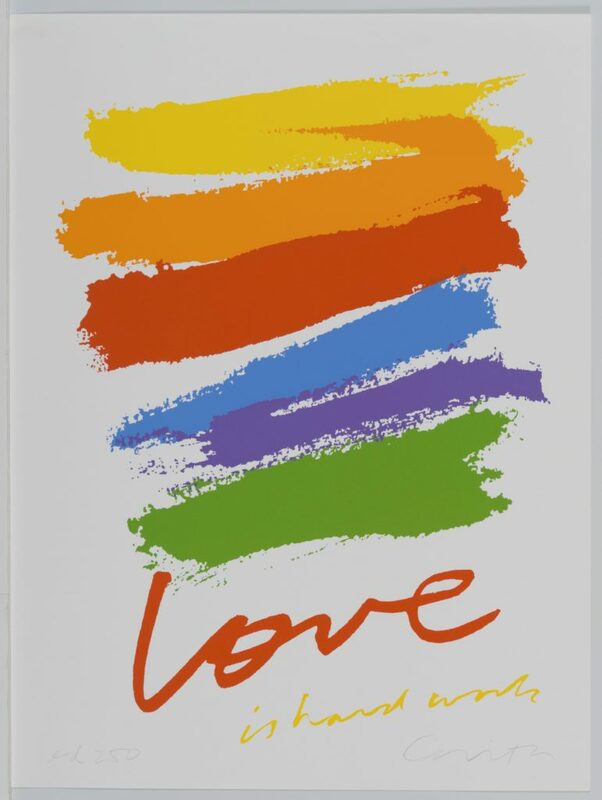 Corita Kent, Love Is Hard Work 1985, Hammer Museum, UCLA Grunwald Center, California. This is perhaps her most recognised piece, used on a US postage stamp. Aged 50 Kent left the nunnery and had to start afresh. She couldn’t drive, she couldn’t cook and had never lived outside of the schedule of religious life. 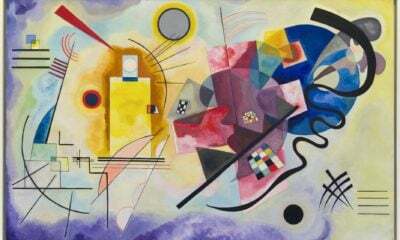 However for the last 18 years of her life, she produced vast amounts of art. She died aged 67 in 1986, leaving her copyrights and unsold works to the Sisters of the Immaculate Heart of Mary College Community. Born Frances Kent in November 1918, the fifth of six children, her strongly Catholic family moved from Iowa to Hollywood in 1923. At the age of 18 she entered the Sisters of the Immaculate Heart of Mary order of nuns. From her school days her artistic talent had been obvious. 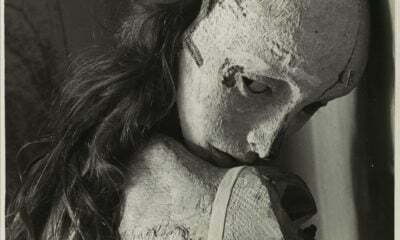 Encouraged by her fellow sisters, she trained as an art teacher and went on to work in the order’s college, well known for its avant-garde views. 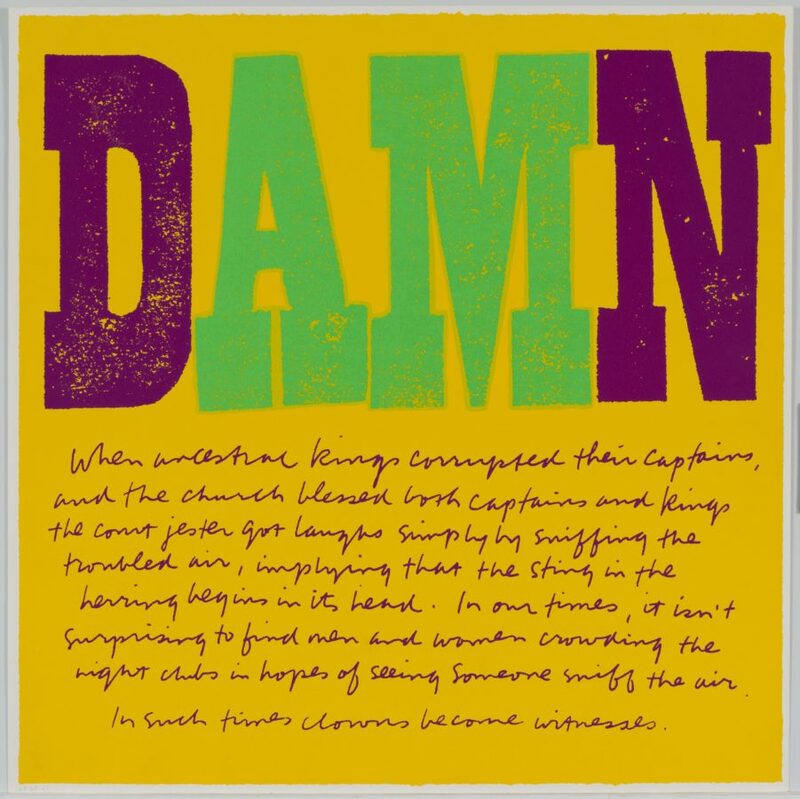 Her dynamic screen-printed works mixed song lyrics, advertising slogans, biblical verses and literary quotes. 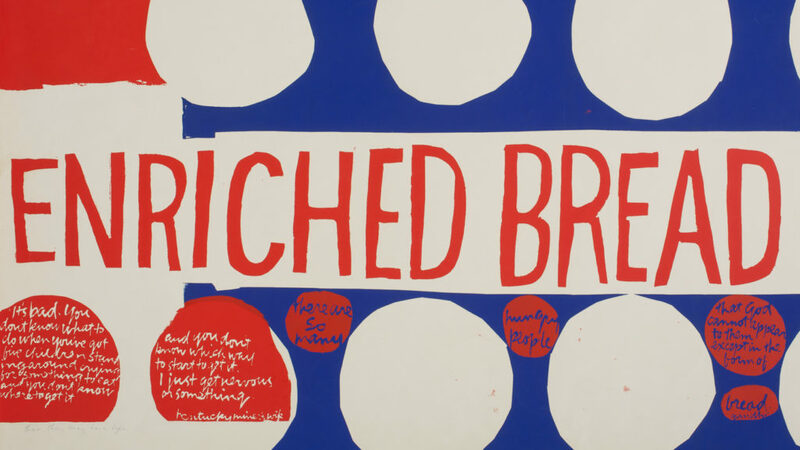 And although never as celebrated as Andy Warhol, Robert Rauschenberg or Jasper Johns, critics say her work stands up easily alongside these pop art greats. Her screens, which could be copied and widely reproduced hark all the way back to the Russian agitprop posters of Mayakovsky. And even today her influence can be seen in the work of Shepard Fairey. His We The People posters were made downloadable as a resource for political protest. 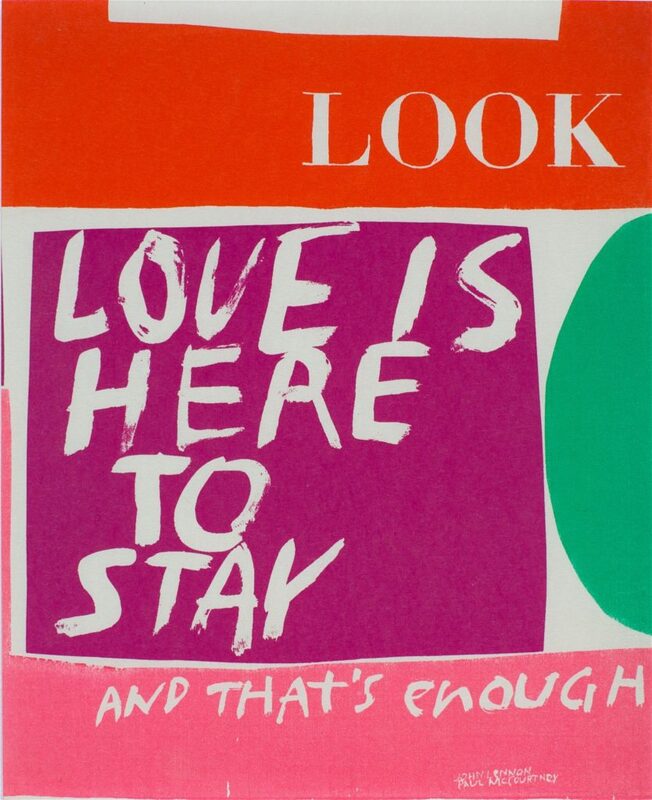 A century after her birth, it is clear that Kent was a Pop art pioneer in her own right, a driven experimental artist with something to say.